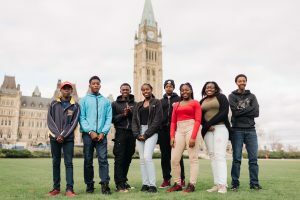 This week 100 young people, aged 14-24, from across Canada descended on Parliament Hill to job shadow Members of Parliament, learn the inner workings of government, and engage in our democratic process. Research shows us that youth who have had Big Brothers Big Sisters mentors become more civically engaged adults; they are 50% more likely to volunteer, spend 30% more time volunteering, and are 13% more likely to donate to charity. That said, what does civic engagement actually mean to young people? This week we asked that question at our #YouthInOffice event, and young people from Big Brothers Big Sisters and Boys and Girls Clubs came back with inspiring answers; answers that are informing – and improving – our work. Young Canadians are excited about making a difference in their communities, and that’s how they define civic engagement: making a difference. 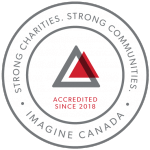 They look to their mentors, and organizations like Big Brothers Big Sisters, to help them develop a combination of knowledge, skills, values and motivation to make that difference. They want to help people in their community and enhance people’s quality of life, through both political and non-political processes. It’s time their voices are heard. This is exactly why informal mentoring events like Youth In Office are critical. On day one, youth themselves, lead all of the training, asking for co-facilitators and support if and when they need it. (WestJet coaching youth on networking and interviewing skills and Instagram sharing tips on activism through social media.) Veteran youth speak about their previous experience job shadowing MPs, sharing tips on what to expect and what to wear, while encouraging each other to prepare and ask questions of their MPs and think about how they can be engaged after they go home. Then on day two, youth are matched with Members of Parliament and the true essence of mentoring emerges and a two-way relationship begins where youth are learning from the MPs, but the MPs are also learning from the youth. Their voice is heard. When an incredible match is made, the opportunities are endless. In 2016, for example, a young person was hired by his Member of Parliament after they spent the day together for Youth In Office. Our job at Big Brothers Big Sisters is to build confidence in youth and encourage them to speak their truth. It is also our job to create safe spaces for dialogue across generations. That is how we build an even better Canada. Thanks to the 100 young Canadians and Members of Parliament who shared their time and wisdom; thanks to our event partners Boys and Girls Clubs of Canada, Canadian Heritage, WestJet, Coca-Cola, Universal Studios Canada and Invesco Canada for making the opportunity possible; and special thanks to Instagram, Morguard, and Roll Her Sleeves Painting for partnering with us to reveal Canada’s one and only #KindComments murals as part of our kick off event and Instagram’s global initiative.